Every culture is a unique answer to a fundamental question: What does it mean to be human and alive? Anthropologist and National Geographic Explorer-in-Residence Wade Davis leads us on a thrilling journey to celebrate the wisdom of the world's indigenous cultures. 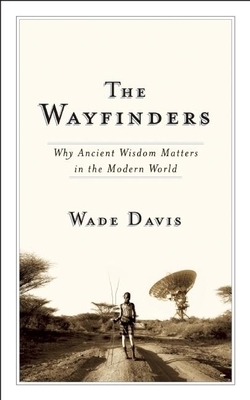 WADE DAVIS is the bestselling author of several books, including The Serpent and the Rainbow, Light at the Edge of the World, and One River. He is an award-winning anthropologist, ethnobotanist, filmmaker, and photographer. Davis currently holds the post of National Geographic Explorer-in-Residence, and divides his time between Washington, D.C. and northern British Columbia.